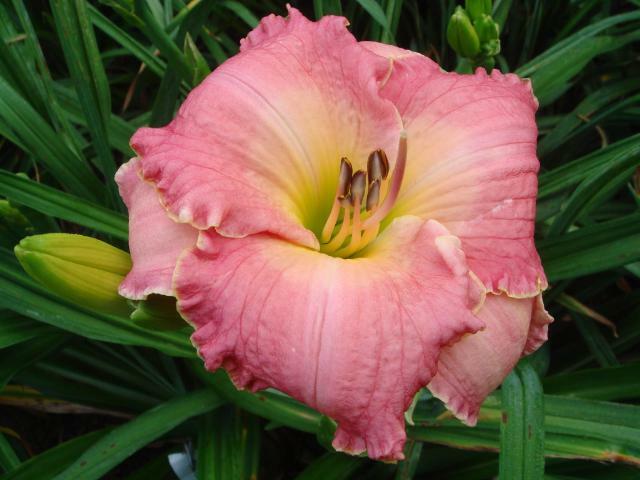 My first registered daylily is named in memory of Tassy Roumbas the wife of Derek Bruneau, a colleague and friend of mine. 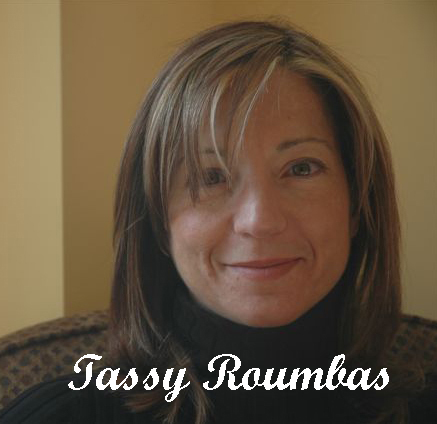 Tassy passed away late in 2009 after a long and valiant battle with pancreatic cancer. Tassy was a lovely, fit, energetic lady who was loved by many. She was taken way too early and will be missed! 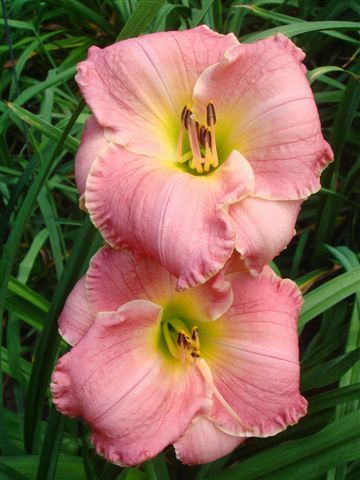 Tassy Roumbas the daylily, is a bright rose pink self with a pale pink-cream watermark and green throat. The petals are gently ruffled with a fine gold wire edge. 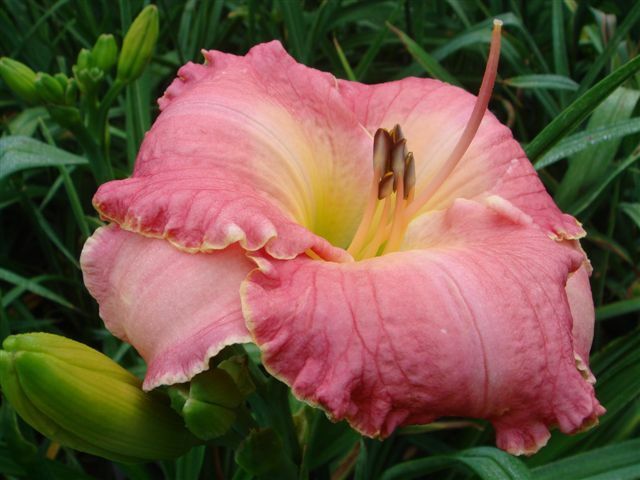 The 5" flowers open well and are borne on 24" tall scapes with 1 - 2 lateral branches carrying about 15 buds. It is a mid-season bloomer, starting usually around July 18th - 20th in my garden. Dormant foliage. Fertile both ways. Parentage: Court Magician x Taos. Registered 2010. Not Available For Sale. Here is one from last summer. I like the pic but the watermark isn't as prominent.